Congress Infinity v. 2.8.8 released! Congress Infinity v. 2.8.8 for Windows and Mac has been released! 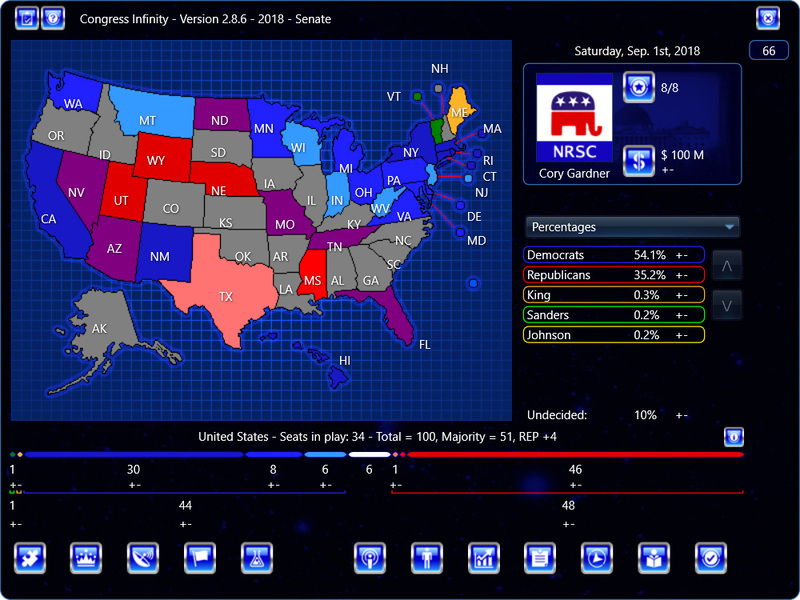 This adds the 0-10 attribute system (from 1-5), more contextual info to the Electoral Vote Info Screen, updates the Senate – 2018 campaign (including recent events), and more! If you are a Congress Infinity owner on subscription (or if you purchased Congress Infinity within the last year), you are eligible for this upgrade.